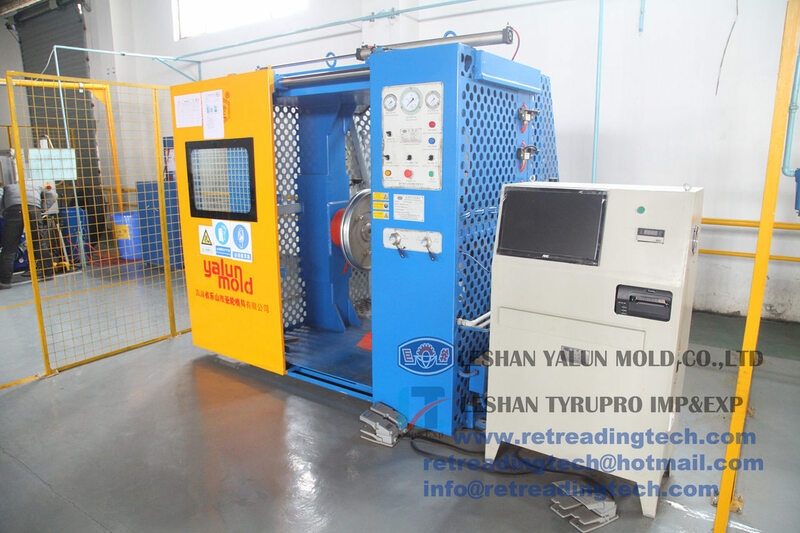 Pressure Testing Machine CQJ is used to test the tyre strength and check the tyre of air leaks under the high pressure with computer monitor system. Some defects (such as the damage caused by unsubstantial or broken wires) can only be found under high pressure. Inflate pressure into the fixed tyre, and monitor the surface images on the computer screen. 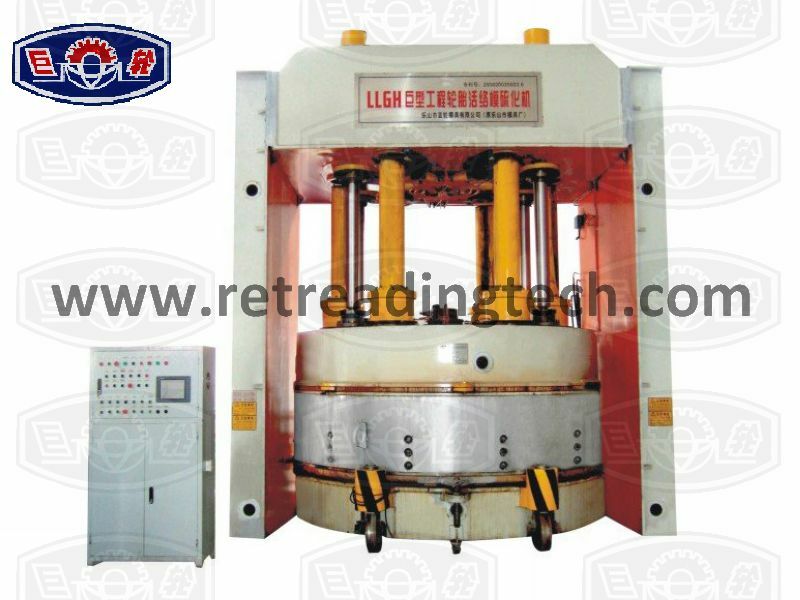 This machine can be used to inspect precisely the following three parts of tyre. A. Surface: covering the light damage and cracks. B. Shoulder: covering the abruption and cracks. C. Sidewalls: covering the invisible cracks, broken, and bulges. 1. 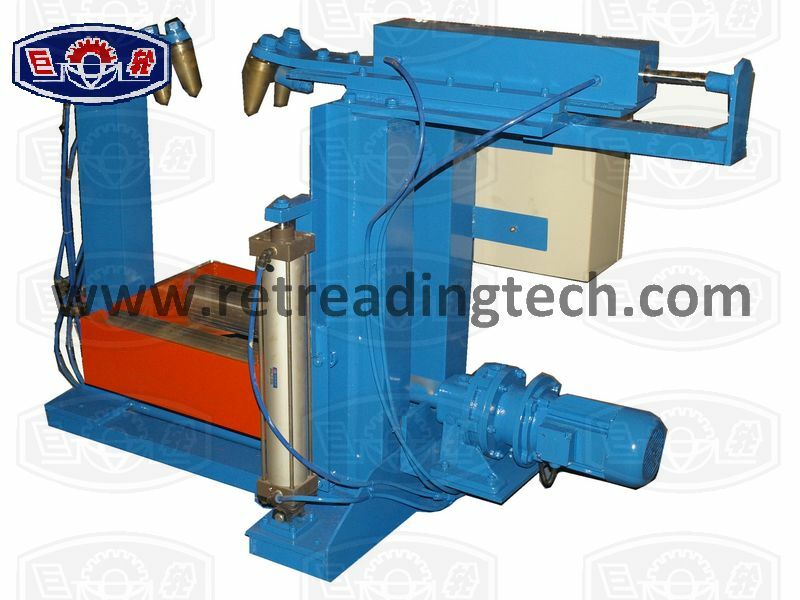 Tire is rotated by a variable speed reducer to be easily controlled the speed between 1.9~10r/min. 2. 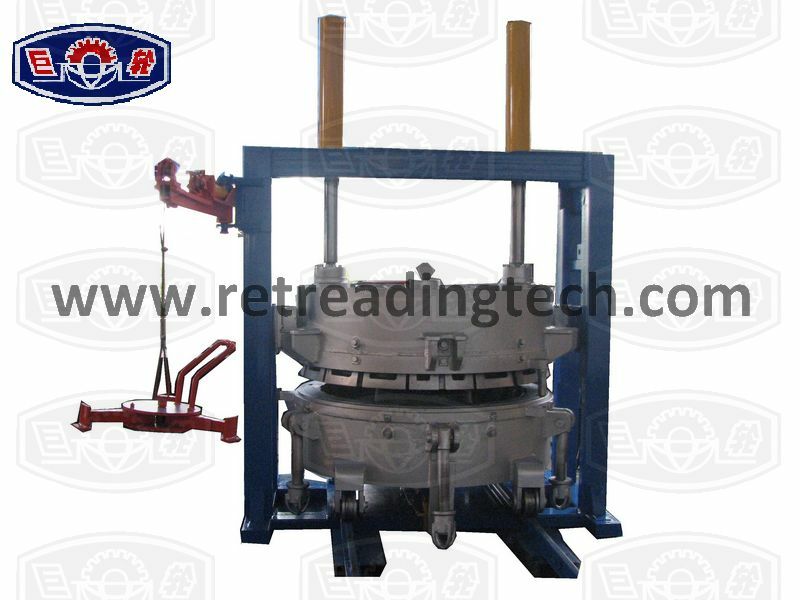 Observe tyre from different directions with monitors. 3. Inflated pressure can be as high as 12 Kg to ensure the tyre's stability. 4. 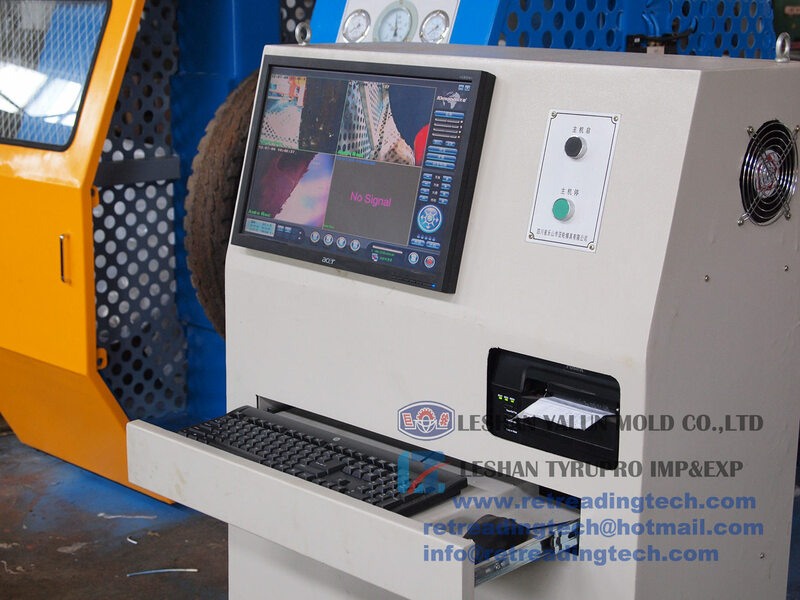 Computer controlled, convenient to record and print inspection data, including tyre size, serial number, inflation conditions. 5. Inclosed chamber with security door interlock to make sure operator's safety. 6. 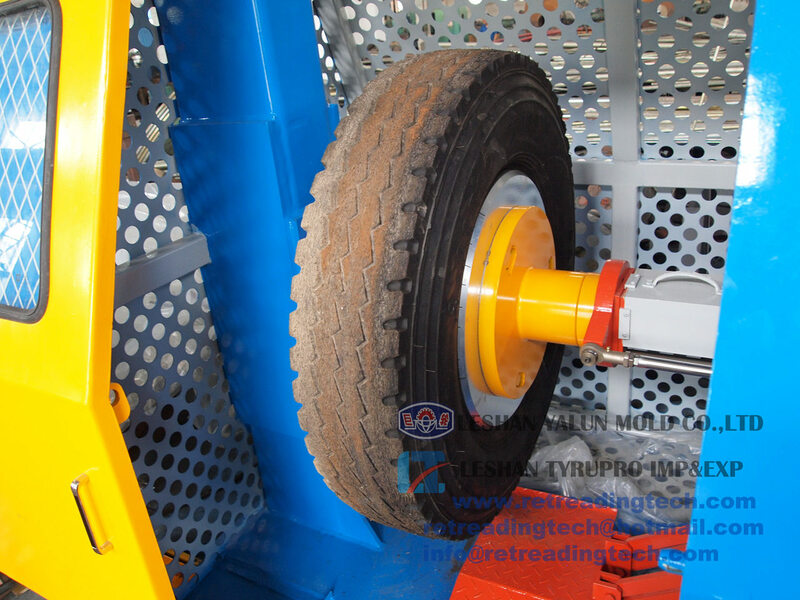 A mini printer can print all the inspection data onto a paste label which will be then stuck on tyres. 7. High quality management to lessen the tyre recall from users. 8. Easy operation for computer controlling system, even for an operator without training. 1. 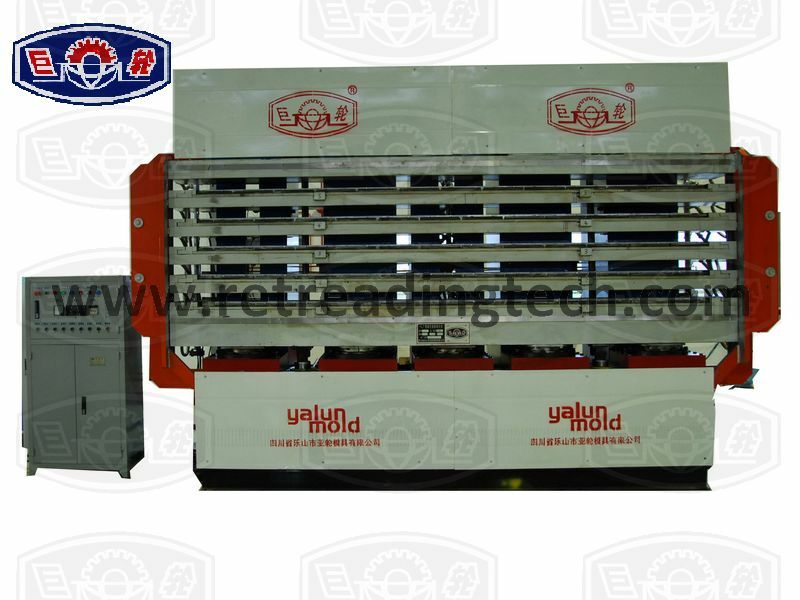 Set and fix the tire in the machine. 2. 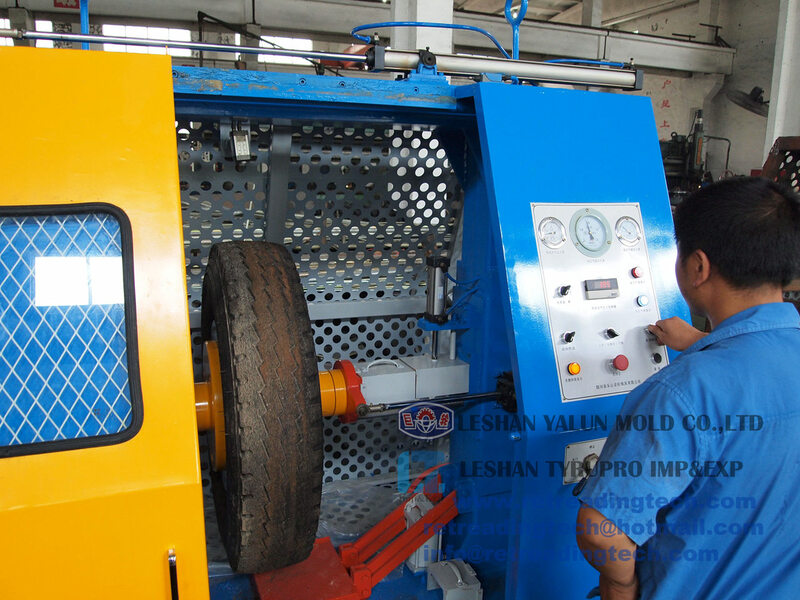 Inflate certain air in the tire increasingly and the pressure can be as high as 12kg. 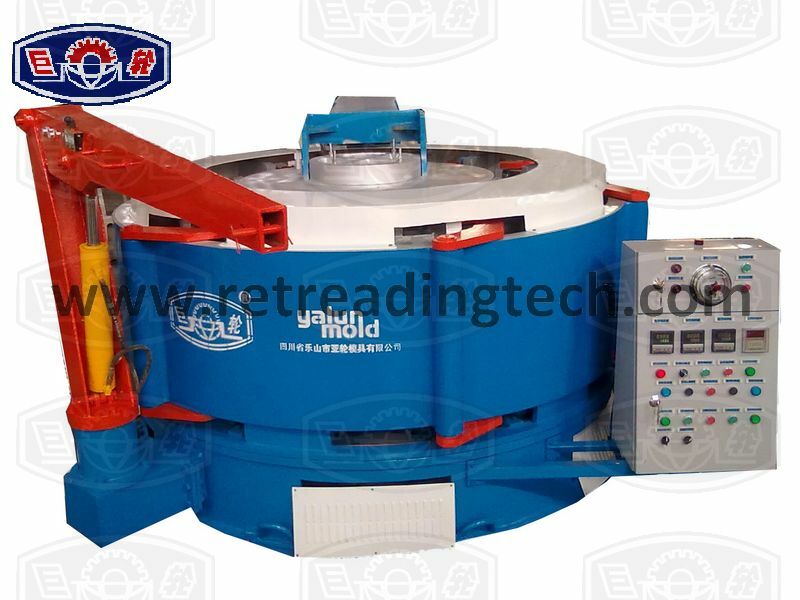 At the same time, rotate and monitor the tire inflating conditions. 3. Record and print the data on the label. Note:the above mentioned specifications are just for reference only; the actual parameters may be adjusted in line with the improvements of product design. 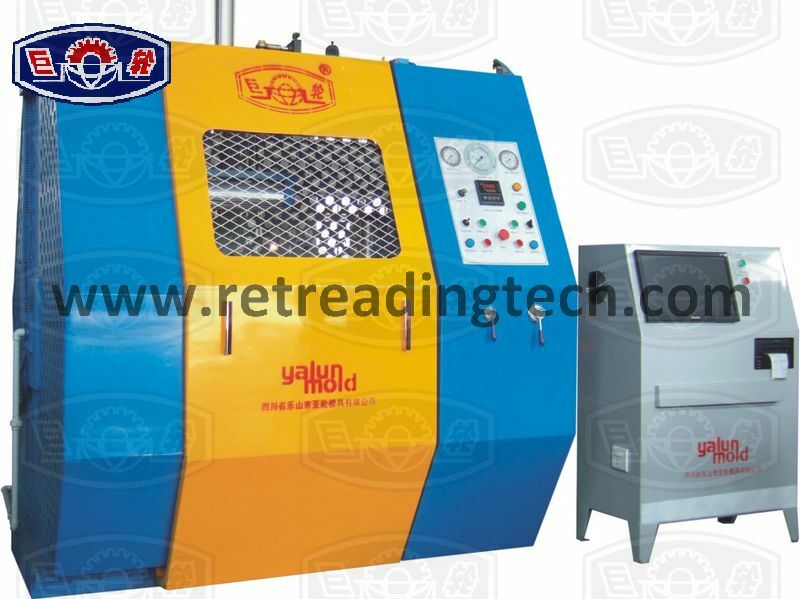 We can also customize machines according to client needs. 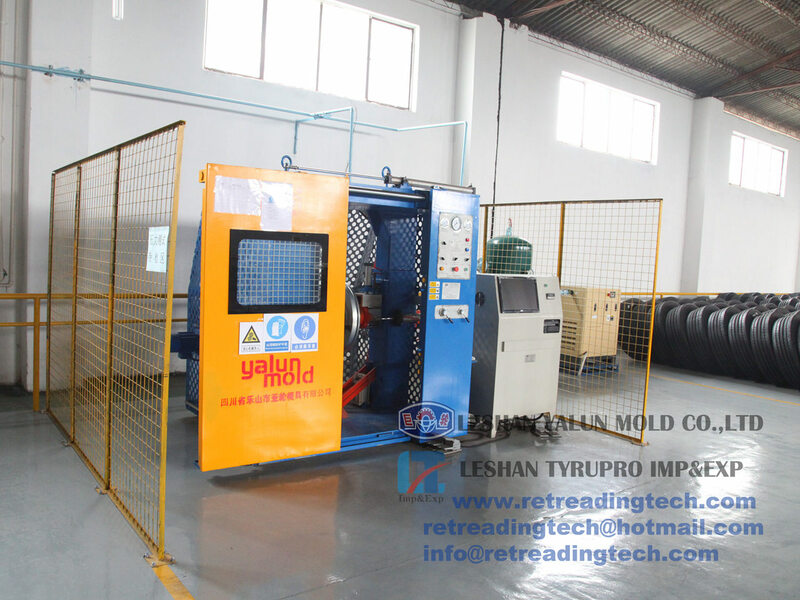 It is used to inspect the casing from inside to outside to evaluate the safety of the tyre and make the decision whether the tyre can be retreaded. Find and mark all visible and repairable defects on the acceptable tyres.